They streamed into the Eromanga Race track and rodeo grounds, all 160 of them. Women from all over the channel country, stretching across three states, all there for the fourth annual Channel Country Ladies Day. 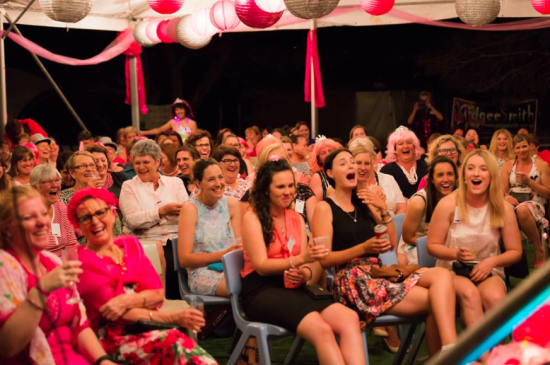 Held from the 23rd – 25th of October, MC Nicole Bond of Longreach kicked off the weekend. There was the Easternwell Diamonds in the Rough (with a touch of pink!) Cocktail party to break the ice, before things got witty, with Byron Bay comedienne Mandy Nolan taking over the night.